Hello eveyone! 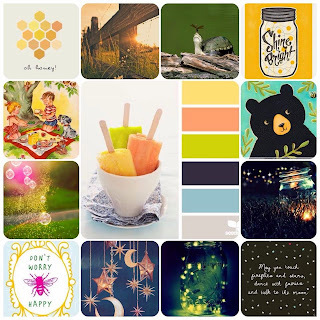 It's time for this month's Pinspire me Monday at Paper Issues. 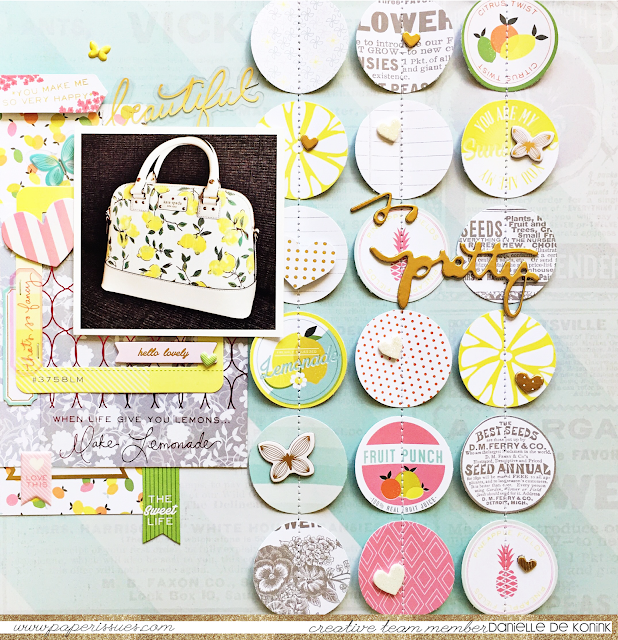 Check out the Paper Issues blog for lots more inspiration! 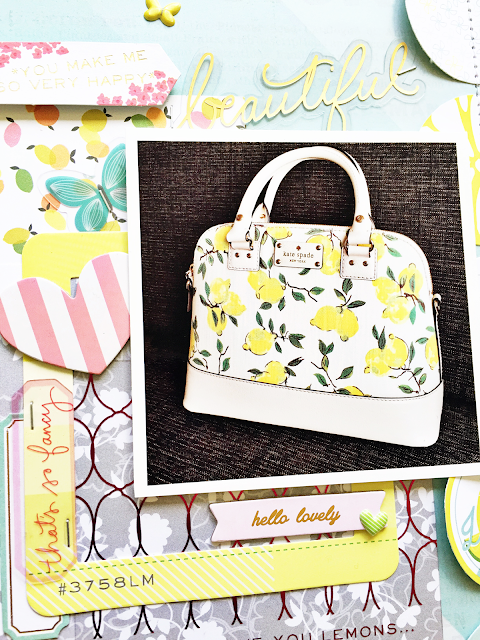 I decided to go for all yellow and blue and the Pink Paislee Citrus Bliss collection is perfect for it. 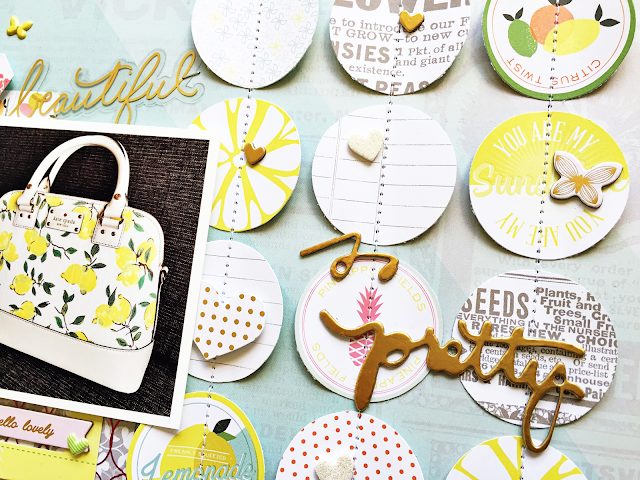 It also has some really fun lemon prints and embellishments, so I had to use this collection to go with a picture of my newest addition to my Kate Spade collection. We would love to see how this mood board inspires you and what you'll create. 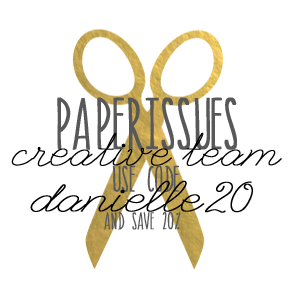 Head over to our Paper Issues Friends & Fans facebook page and you will find a post where you can upload your project for a chance to win! You can find this gorgeous Pink Paislee collection overhere in the Paper Issues store and don't forget to use code DANIELLE20 at check out for 20% off your entire purchase! 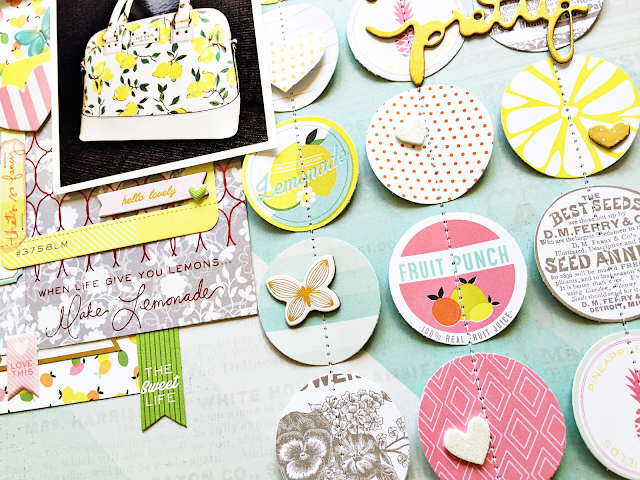 Love all the circles and such a fun collection for your pretty bag!